I was thrilled to be asked over at Stamp TV to host one of their weekly Challenges called Mix it Up Monday! So my challenge was to create a card using a Monogram. That Monogram may consist of either 1, 2 or 3 Bold letters. In my example however, I only used 1 letter, but if you would like to use more please feel free! Won’t you join me? Here is the Link! Also, this card goes along with the Sketch Challenge over at Deconstructing Jen. The Sketch was so much fun to do! Love the added lines behind the image! 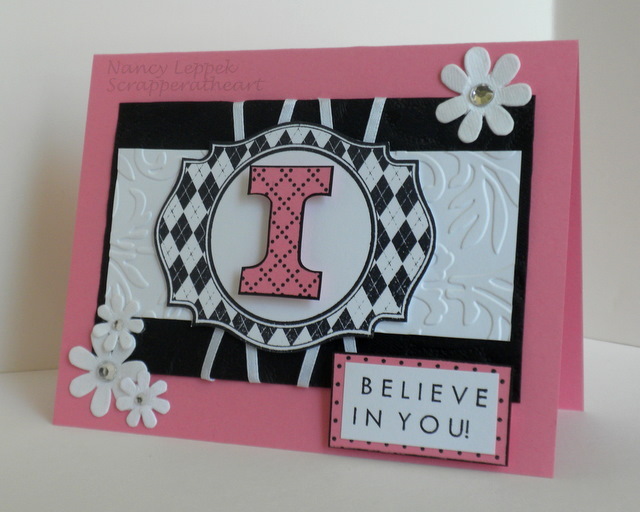 Categories: Cards, challenges | Tags: Card making, Cards, encouragement, Gkd, MelanieMuechinger, monogram, rubber stamps, sketches, Stamp TV Challenge | Permalink. WOW! What an honor! And I really like your card.